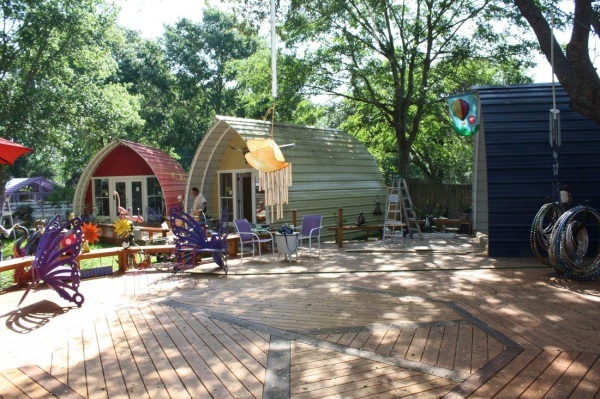 They call it the “Tiny House Revolution” — the apparently growing movement to downsize your living space to maximize financial security, independence, simplicity and freedom. I don’t have stats to prove this movement is growing, only a sense of how often I’m seeing this kind of thing in the news and a gauge of my own web traffic — terms like “Alternative Living Spaces” and “living in a school bus” are consistently among the top things people search for that bring them here. It makes sense for a lot of reasons, in part because the latest generation to reach adulthood seems to be much less invested in having “things” — they’re less likely to have their own car to drive, for example — and more interested in having experiences (which have been scientifically proven to make you more happy). Additionally, as I’ve written about before, there’s a greater understanding of the environmental impact of living large, and a desire to have a smaller carbon footprint. 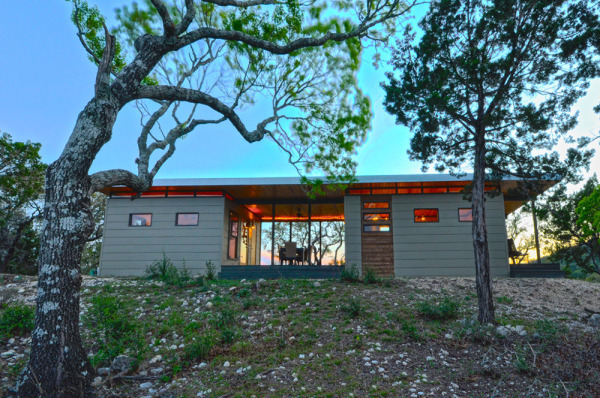 I’ve recently come across another Texas company helping folks realize their dreams of tiny, economical living, and I have to say the structures they’re building are awfully cute, too. According to the site, the basic kit includes floor plates, ribs, ridge beam, standard insulation R13, Super Span Roof Paneling, trim and fasteners needed to assemble the cabin. But it doesn’t include the foundation, installation, interior, end caps, or delivery. Not to mention electricity, plumbing, etc. So, there’s likely a lot of expense involved beyond the basic kit, even if you’re assembling and finishing it yourself — though that doesn’t mean it’s not worth the price. 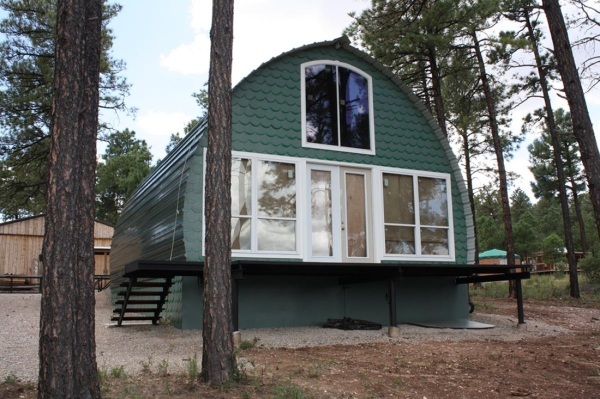 The fact that Arched Cabins is growing and that it’s starting a distribution network speaks volumes as to the interest in their offering. The cabins don’t have to be particularly simple, either. The version shown in the site’s gallery looks to be the luxury-living option, complete with chandeliers, a clawfoot tub and marble countertops. I suspect the budget on that one went well past the average. We might just check them out ourselves at some point. They’d seem ideal for a guest cottage on our current property or perhaps an outpost on some land elsewhere. Post by The KVUE Insider. 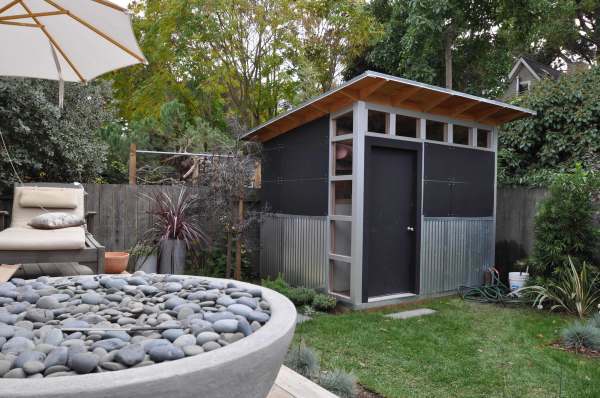 While investigating options for an outbuilding on our property I have come across a couple of other companies that offer pre-fab kits for really beautiful buildings — and at least one of these is local. But they seem to be a bit more pricey than Arched Cabins. Previous Post: « Better To Have Loved And Lost?